Buy a pre-registered Thailand SIM card from India for less than it costs at Bangkok or Phuket! Waste no time at the airport and know your number before travel! Free Incoming all over Thailand! Included free minutes to call India. Know your number before travel! We need a copy of your passport before delivery. 3-in-1 (standard, micro and nano) size SIM card fits all phones. Know your number in advance. Activation before travel. Rates subject to change by AIS/DTAC/TrueMove without notice. 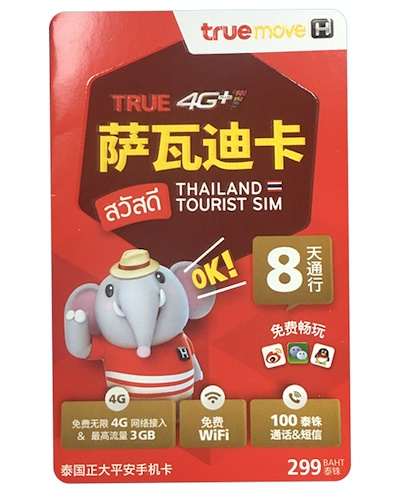 Please also note, using this SIM card to surf Internet or make calls outside Thailand will significantly reduce the data and voice usage capacity, or even cause the SIM card to be suspended. 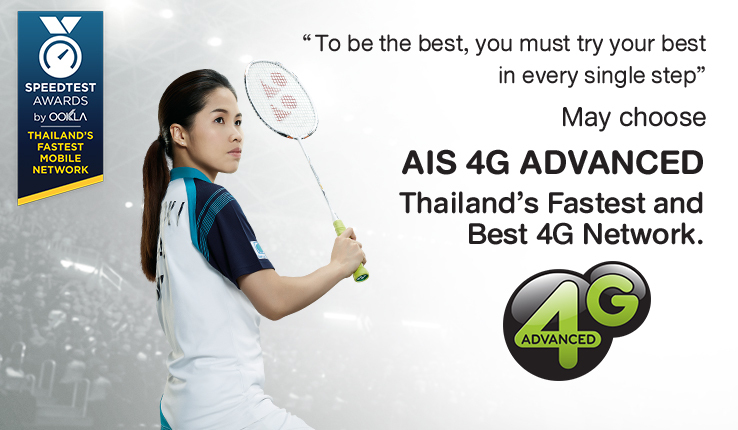 AIS, DTAC & TrueMove have extensive 4G coverage across Thailand. AIS, however, Thailand’s largest GSM mobile phone operator, has slightly better coverage nationwide compared to other cellular operators. 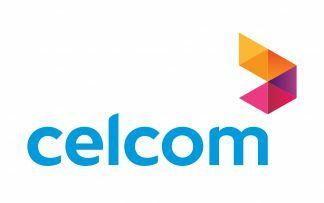 DTAC, on the other hand, is said to have a slightly faster network. Dial 00300 or 00400 or 00600 + country code + phone number. For example, to call India number 022 24216344, dial “00300912224216344” or “00400912224216344” or “00600912224216344” The international dial code 00300 or 00400 or 00600 will be mentioned on the card. Call Local AIS Customer Care team at 1175 OR DTAC Customer Care at 1678 OR TrueMove Customer Care at 1242 if you are within the country. Simply dial *121# from your AIS Traveller SIM OR *101*9# from your DTAC Happy Tourist SIM OR #123# from your TrueMove Tourist SIM to get your plan current balance. Visit any of AIS Telewiz, AIS Kiosks, DATC Stores or Family Mart Stores in Thailand. Top ups available for 50THB, 100THB, 300THB, 500THB & 1000THB. Top Up also available via this page by choosing “refill” in the first drop down. These cards can be refilled at the telecom operator’s store for an extension of validity. These refills will generally be more expensive than the rates paid to TSIM. However, we are not in a position to aid you in extending the validity of the card. worked wonderfully in Thailand . had network through-out my trip. even on an remote island and while island hopping. my main purpose was data, and TSIM/AIS worked perfectly. Infact the sim data was better than the free wifi at the hotels. easy purchase and delivery. very convenient. will definitely purchase it again. Timely delivery, pre-activated SIM card and good coverage of network and data. Thanks ! I purchased the DTAC SIM I will give it 5 stars. There was absolutely no problem with activation and usage (follow instructions completely). I visited Phuket and Bangkok and had excellent coverage in both cities with very good 4G speeds. Of course, in the hotels I used Wi-Fi to save high speed data. 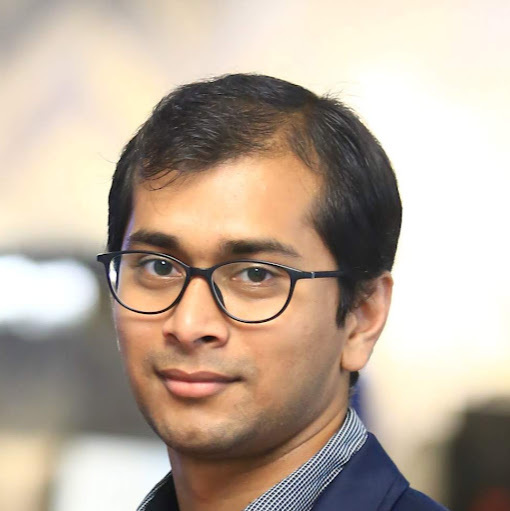 Unfortunately, I was unable to use the Android App for free calling – the customer service number I had tried to help but somehow I was not able to use it successfully. However, the bonus of this SIM was that I received a GRAB taxi (like Uber) discount code of 100THB off on 5 rides which I used 3 times – this was a welcome surprise. The experience of buying from TSIM was very smooth and I will highly recommend using their SIM for traveling to Thailand. Their customer service is very good and they respond fairly quickly and try to help. Thank you for your detailed review, for confirming where the SIM card worked, and for the additional tips/info regarding GRAB Taxi discount offer! Internet facility was too good but disappoint with calling facility because only one call was possible around 5 min to India through Thailand SIM. You need to put a prefix when you dial India. The prefix is in bold letters on the SIM Card. Without prefix a call to India will use up all your credit very fast. We apologise for the inconvenience caused. Great Service, Worth every penny. Amazing service, delivered my sim in time. Also, the sim worked perfectly well during my travel, good network. Will use again. Thanks. Order placing and delivery processes are satisfactory. In spite of submission of Passport Visa Tickets etc, there were many annoying emails bombarded with to submit again. This creates panic ans I called up customer service and they said to ignore the emails and they confirmed receipts of my proofs. On landing, following the instructions properly, the phone started working but not data until I visited dtac showroom where they corrected it. Talk time & data usage is to be checked often. The best part is, you your SIM here at our door step with number known to paeople back home before I leave. Thank you for your detailed review and for your suggestion regarding email to customers. This has been forwarded to our technical team for action. I purchased the 8 day validity sim card (Happy Tourist) and was quite happy carrying the sim card from here thinking there won’t be any hassles. Little did I know, that the sim card would stop working only after one day. I have no idea what sim card they delivered, whether they delivered the sim card with 1 day validity or whatever. Right after inserting the sim card in Thailand, I got an SMS “Your unlimited internet 3G/4G for 8 days package is expired” , now how can that be?!! The customer service was of zero help and they didn’t bother really. It was a big mistake taking a sim card from here and not just buying it off at the airport, which would have saved me a lot of trouble. We are in touch with DTAC to understand how this could have happened. In the meantime we are processing a refund for you. We apologise for the inconvenience caused. Very good service and very convenient. Thank you for your kind words and glowing review. WORTH BUYING. I PURCHASED 8 DAYS VALIDITY SIM (RS. 549 SIM) AND PAID ABOUT RS. 700 INCLUDING TAX AND DELIVERY . NO ISSUE DURING MY TRAVEL TO PHUKET & BANGKOK IN JUNE 2018. EXCELLENT COVERAGE. Thank you for your kind words and for detailing where the card worked. A very good option. Connectivity was very good. We are fully satisfied. Earlier, we had taken Europe TSIM in Dec last year. That also worked perfectly. Amazing connectivity. Would recommend TSIM very strongly. Thank you for your kind words and continuing support. I have purchased this SIM card for my 8 days stay in Phuket. Absolutely fantastic option for one who is traveling to Thailand. SIM is delivered to your home well in advance and you know the number. You can share the same with all tour operators etc. at your destination ahead of time. The network coverage, internet (data option) was awesome. No hassle at all, it is really value for money. Thank you for your detailed review and for confirming the area in which it worked. I used the SIM in Thailand – Bangkok & Phuket for a span of 12 days. The network was pretty good & internet speed too was great. 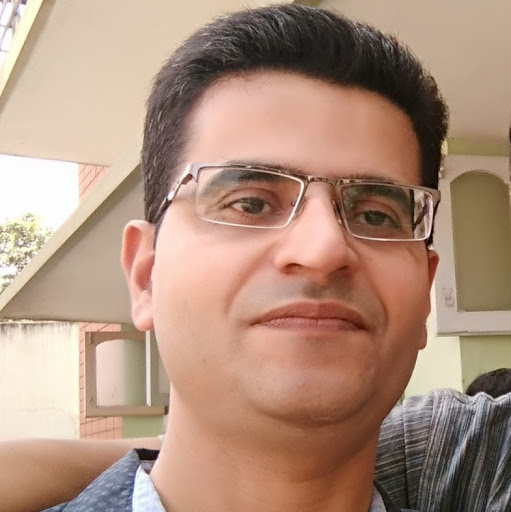 I did not have any issues with configuring, calling local as well as to India or accessing internet. I was able to conduct webex meetings including Video & VoIP. Initially I was skeptical to buy this card from Tsim was preferring Matrix. However, I decided to buy from Tsim as my experience as follows; the SIM worked flawlessly as soon as I landed in Bangkok. I worked all the time even remote locations like Phra nang caves, Poda Island in Krabi. I never had any connectivity issue during my tenure of 1 week in Thailand. I will strongly recommend Tsim. Very soon delivery and no issues….worked very welllllll….. Very nice connectivity and service. Sim was delivered the very next day and really helped us in thailand. Good coverage. Must buy when in thailand. Excellent coverage. Infact I bought this for my parents, who were travelling to Thailand. I was able to keep in touch with them when they were away. Thanks for the services. Very nice voice quality and data speed.The sim pricing is cheap compared to competitors. Trouble free operation right from landing at Bangkok and travel thru Thailand. Very useful in contacting local service providers. Local calls and whatsapp worked without any issues. works perfectly activated automatically when reached Thailand. Good connectivity throughout. Internet speed is also very good, seamless!! The SIM was pre activated I just landed in Thailand & used it for calling they use AIS service SIM card which is one of the best. I used it for 11 days without any problem at all. TSIM gives u the cheapest rates compared to any other website & wonderful service. Fantastic service! Everywhere the 4G service (and the calling service) worked perfectly; even on the ferry when traveling from one island to another. Very very helpful and extremely reasonable. 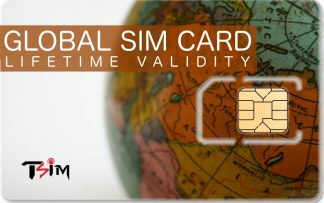 If you are traveling to Thailand for an extended period of time, this SIM is a necessity! It was really helpful. You have a sim which already activated when you land. Thank you for your kind words and for pointing out a prime benefit of buying a SIM card from TSIM. I purchased Tsim through online here & freely used in Thailand…! very good product and service. :) highly recommended ! > Very Good Experience of T-Sim in Bangkok and also continue with Ching Mai. > Very good speed for 4G and superb signal in all area. 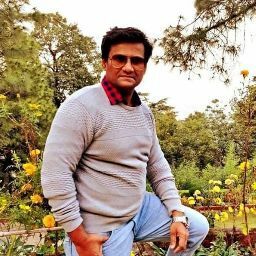 > Thank you for providing me sim India and I have started using from Airport itself. 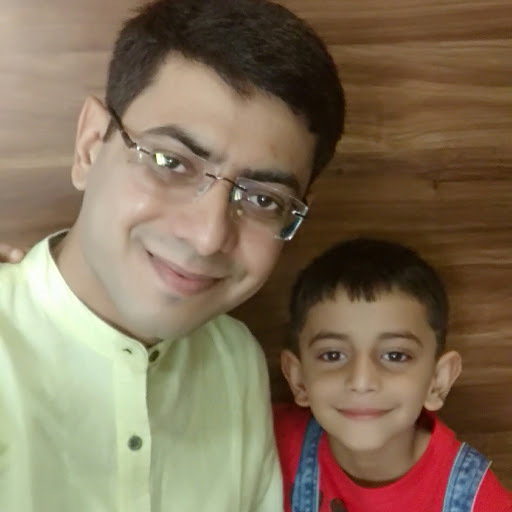 Excellent Service , Sim was delivered on time and worked very well with excellent Net Speed . really made Life easy with TSIM . Highly recommended . I used this SIM in Phuket from 23rd Dec till 26th dec. it’s worked just fantastic. I had throughout 4G network even at James Bond Island, Phi Phi island etc. never ever had an issue with network or call quality. Was connected as soon as I landed in Phuket. So didn’t have to waste my time for getting a SIM at the airport. All in all a great product !! Thank you for your kind words and for specifying areas in which it worked well. Superb connectivity, did not face any problem during our stay. It simply works the way instructions are provided. We kind of felt home in Thailand with this tsim connection. 4G speeds are also superb. Excellent service. Worked very well for Thailand trip. We bought 2 SIMs and both worked perfect, both for voice calls and Data. Internet speed and coverage were very good. TSIM worked great in my mobile for my entire Bangkok trip (one week). I would recommend this one. Even though data did not work great in my wife’s mobile (could be a problem with the mobile), still whatsapp worked. Overall, it was a very good purchase as we get the sim cards before the start of your travel and also don’t have to stand in queue to purchase them. Thank you for your review and understanding. Thank you for your kind review and recommendation. Excellent customer service and super delivery system by TSIM. Great coverage of the network in both, data and voice, even in a remotest place like Rayong in Thailand. Worth buying again and again as it is the cheapest and the best. Thank you for your kind review and for specifying the remote area in which it worked. I ordered just 2 weeks before leaving to Thailand and they delivered the SIM at my place in 3 days with an active followup and updates on the shipment. Loved the free gift along with the SIM. it was useful on the trip. I activated the TSIM sim card the moment i landed in Thailand and it started working immediately. had great connectivity and 4G network at all places including the remote islands. I would surely recommend TSIM without any second thought if you are travelling overseas. Thank you for your kind words and for confirming that it works in remote areas. Best network, cheap if get it from India itself before travelling, instantly activated once you land in Thailand. Must go for TSIM. Enough minutes to call back to India and unlimited 4G internet. No issues. The Thailand sim worked hassle free. Net speed was also good. Thanks Tsim for keeping me connected through out my Thailand trip. 1) Its cheap in India as compared to if you buy from IGI Airport or from Thailand. 2) You may get free gift with your order. 4) Last but not the least network is excellent. You will not face any problem in Thailand during call. We apologise for the inconvenience relating to your wife’s SIM card and will investigate this further. Thank you for taking the time to bring this to our notice. The SIM did not work on my latest Galaxy Note 8. It kept saying in notification panel – Invalid SIM card – Network Locked SIM inserted”. It was complete waste of money. I hope TSIM will refund my money! We apologise for the inconvenience. Certain Samsung phones are locked to networks of a certain country. This may have been the issue with your phone. Please see http://www.samsung.com/ie/support/skp/faq/1028874. We are processing a refund for your purchase. .It would be better if u give another option of more prepaid data loading in the sim instead of 2.5gb as nowadays most of the application is data intensive. I have started using the sim just after landing at bangkok and it worked flawlessly..
Those who are going to Thailand can use it whithout any hesitation and recharge option is every familymart in thailand. Thank you for your kind words and refilling information. Excellent coverage throughout the Trip. Best option available to buy from thanks tsim to keeping me connected thru our my trip. very reliable. Hassle-free and it worked seamlessly once we landed in Thailand. It was an excellent experience altogether for my 10 days stay in Thailand with seamless connectivity, good internet speed throughout we got 4G connections, even on remote islands. Really I recommend to all tourist to buy this one enjoy your tour. 100% hassle free 100% reliable. Airtel prepaid dint work whereas this worked without a glitch. Strong recommend. Great Connectivity even at the islands of Krabi with Data. Never found a moment where I had an issue with the connectivity. Good Deal just buy it eyes closed. Thank you for your recommendation and for detailing areas where the SIM Card worked. I Purchased 2 T sim Thailand cards for my 7 days visit to Phuket.Its preactivated and totally hassle free.Just need to put the sim in your phone and start calling or use 4G. I consumed 2.5 4Gb data and also recharged it online without any problem.Will definitely buy again. Absolutely hassle free experiance. The SIM worked beautifully with both DAT (4G) and Voice calls ..Used it at Bangkok and Pattaya. TSIM has been my preferred SIM for International travels since 3 years. Thank you for your kind words and repeated trust. got it before expected time, got excellent service in Thailand, they did what the promised. Worth buying. It was a huge relief to carry this sim along. It worked perfectly fine in each of the islands where I went from Koh Lanta to Koh Rok and Koh Mok and even Koh Pha Ngan and Koh Tao. Didn’t regret a bit carrying this along and was easy to recharge in most shops in Thailand. Ultimate performance. I liked it very much & recommend it to all planning for the thailand trip. 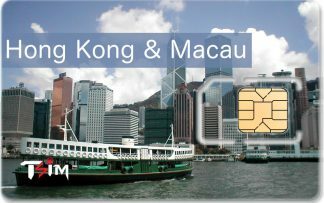 Tsim is really simple & easy accessible ​sim card, I purchased through online here & freely used in Thailand…! Worked perfect. No issues, easy and quick delivery. Purchased 7 day data Sim card. 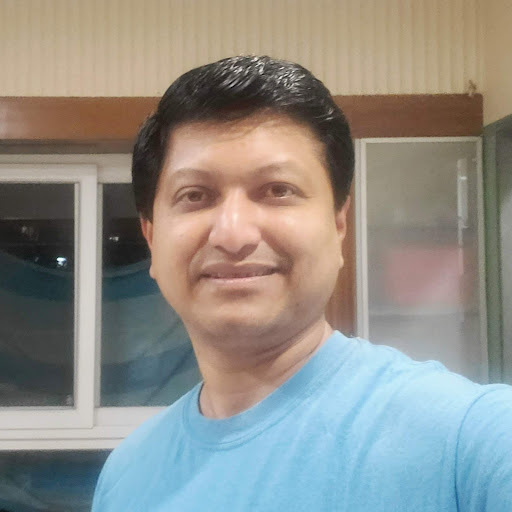 Had excellent connectivity and speed in Bangkok, Pattaya and Phuket. Was purely dependent on the data for commuting everywhere. 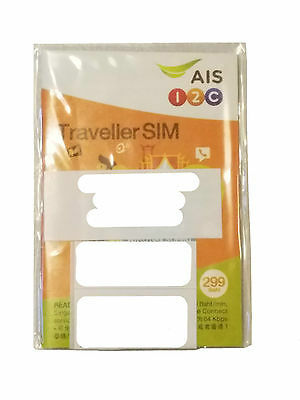 Buy this sim card if your planning to visit Thailand. Really reliable n good network sim card.Awesome 4g speed internet which will help you to search your destination n for browsing. I would purchase this sim card again if I visit Thailand again…Thank you AIS AND TSIM FOR MAKING MY JOURNEY SO SAFE AND PLEASANT. Thank you for your glowing recommendation. In case of Visa on Arrival, we shall require the passport copy & the ticket copy. 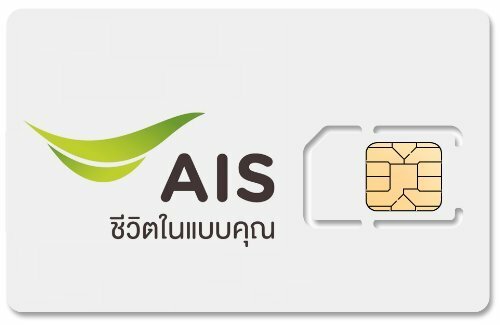 The SIM will get self activated & register on the network once inserted into a compatible phone in Thailand. The Passport & Visa copies can be uploaded while placing the order. Answered by the admin	Yes! We deliver the SIMs all across India. Based on the pin code, users are prompted for various shipping options (like CoD, Express Delivery etc) during the order process. Do note that payments are to be done at the last stage after you select your shipping options. No! The SIM has free incoming calls while in Thailand. The SIM should ideally be ordered atleast a week in advance to avail of the Free Shipping option. For data recharge & plans, you may approach any of the local operator kiosk or store in Thailand. The charges for calling India using prefix 00300 would be THB3 per min. Answered by the admin	The SIM will work in Ko Samui & Phuket. After 2.5GB, the data will continue at reduced speeds. You may do a refill for the SIM on the TSIM website on http://www.tsim.in/product/thailand-sim-card/. Select 'Refill' instead of 'New' in the Options. Yes.. ISD facility would be required to call the TSIM Thailand Prepaid SIM from India. Unfortunately we do not have a physical presence in Visakhapatnam currently. You may contact us on 1800 313 5055 or send us an email on services tsim.in. Yes...the SIM would work in all the 3 places mentioned. Only the data validity is for 7 days but the card would be valid for use for your entire trip. You may refill with a suitable plan at any of the AIS stores/kiosks in Thailand or using the online refill option on our website. Yes..they can be used with this SIM. Yes! The Thailand SIM is pre registered & ready to use. Since the the validity will start from the First Use, you are strongly adviced to insert the SIM into the phone ONLY AFTER reaching Thailand. We would advice you against doing so as the validity of the SIM starts immediately on activation. If you would want to check the compatibility of your handset with the SIM, please tick the "Check My Phone" feature while ordering the SIM. Select this to have our helpdesk check your phones for compatibility. They will help you cancel or alter the order based on their findings. Currently we do not have a facility for users to pick up the SIMs from the Suvarnabhoomi Airport. Instead, we can deliver the SIMs throughout India with same day / next business day /2-3 business days delivery options. Our helpdesk will check your phones for compatibility. They will help you cancel or alter the order based on their findings. They can also recommend a new phone if you wish. You should ideally order the SIM about 7-10 business days before your travel. The SIM would be activated & ready to use by the time you reach the destination. You may order the TSIM Thailand Prepaid SIM Card online & we shall courier the SIM to you at the designated address. We would advice you order the SIM atleast 4-5 days before your travel. The local call rate is THB1/min. The initial talktime validity is 30 days from date of activation. If your subsequent trips are within this period & if you have some balance left in your SIM, it will be valid. If the trip is likely to be beyond this, we recommend that you contact AIS Customer Support or visit an AIS store while in Thailand on your first trip for your requirement.